The race for the FHL Cup is the best in recent memory with no less than 8 teams within 34.5 points of 1st place. 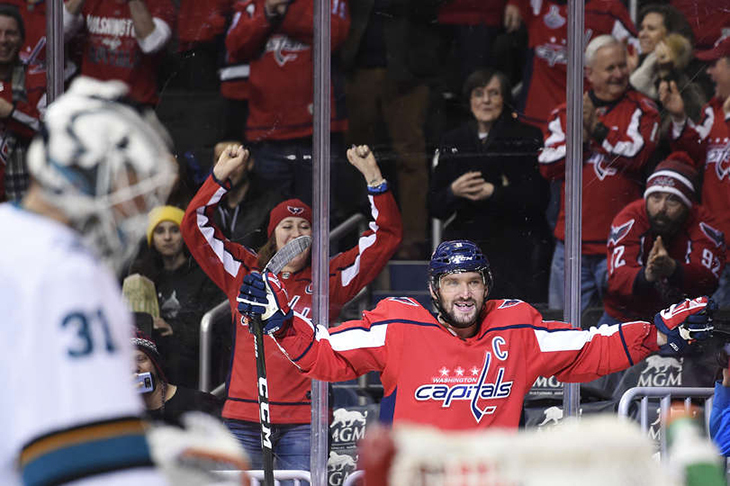 The Misconducts are one of those teams, the two-time champion just 18.9 points back after team captain Alexander Ovechkin erupted for 3 goals, an assist and 12.0 points. Concussion Junction are in concussion protocol after getting their bell rung on Tuesday, GM Smalley’s free-swinging squad dropping their opponent to the canvas in Round 2 of the scheduled 10 round bout, the heavyweight Misconducts leading the bantamweight Junction by 12.8. On Tuesday Badger Bob was shoved into a hole by Bluliners Evander Kane (2g) and David Rittich (33 save win), the needa-ladder Bobs already facing a steep 10.3 point climb just two days into the extended All-Star break week. The Vegas Vipers are adept at reaching 1st place but they have a difficult time staying there, the team dispatched to 3rd place after yet another 24 hour stay on top. The Wild Ducks meanwhile not only moved past their opponent in the overall standings, the Ducks are also ahead H2H, leading the vagabond Vipers by 9.0. Despite scoring just 3.9 points, the boomerang Flyers returned to 1st place on Tuesday, the homing birds currently 1.4 points better than the 2nd place Wild Ducks. The H2H picture however isn’t quite as rosy, the Flyers still trailing the needa-win Polar Bears with 8 days remaining in the week. This battle of division leaders is living up to the pre-week hype, the Central Red Army’s seemingly solid 8.0 point effort successfully deflected by the 10.0 points carded by the Ice Hogs, GM Henry’s pigs now leading this heated duel by a scant 2.0. New-hire Tomas Hertl (3g, 1a) provided instant offense for his SC Cobras team, the well-traveled forward netting 12.0 of his team’s league-best 20.0 points, the snakes still within FHL Cup range (trailing by 58.4) and now, a thick 20.5 points better than their headless H2H opponent.